This new identity prepares our brand for the modern age, removing the “.com” from the logo and identity to indicate Fly’s ambition to become more than simply a website — to become the way our users “Fly” to their destination. We aim for this new brand identity to convey the refreshed, modern platform that we’re transforming “Fly.com” into. Long gone are the days of searching multiple websites to find the best travel deals. Since we’ve completed our move to San Francisco, the engineering team has already made progress renovating the system. Most notably; we’ve gone from 400+ airfare providers to over 500. 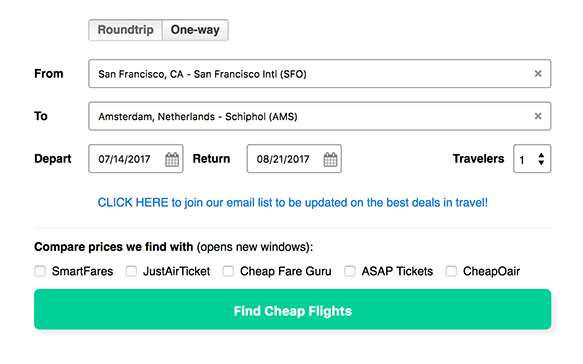 Fly can also search user-favorites such as Expedia, Priceline and Orbitz — all in real time. With nearly a hundred new partnerships, we can provide travelers with the assurance of knowing they have access to one of the largest collections of airfare providers and most up-to-date fares. The innovative “Fare Calendar” has been improved and expanded in order to allow travelers to easily find departure and return dates at the best price for up to 180 days in the future covering over 2,000 routes (up from the previous 90 days and 1,000 routes). Through use of Artificial Intelligence, Fly can calculate airfare costs for any flight six months into the future. 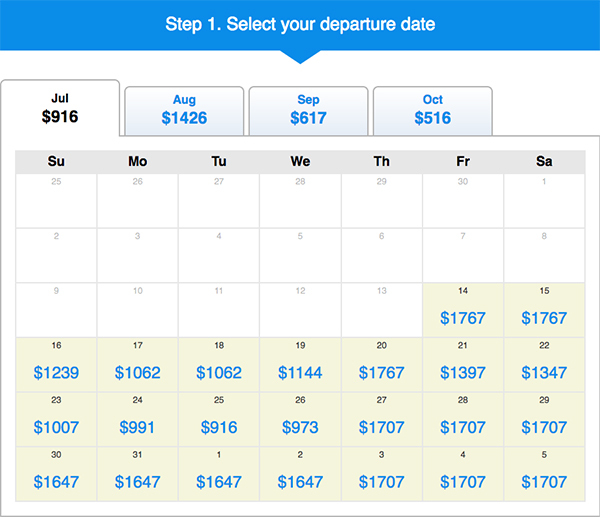 This allows travelers to quickly see the cost difference in flying this week or next month, a Friday vs a Tuesday, etc. 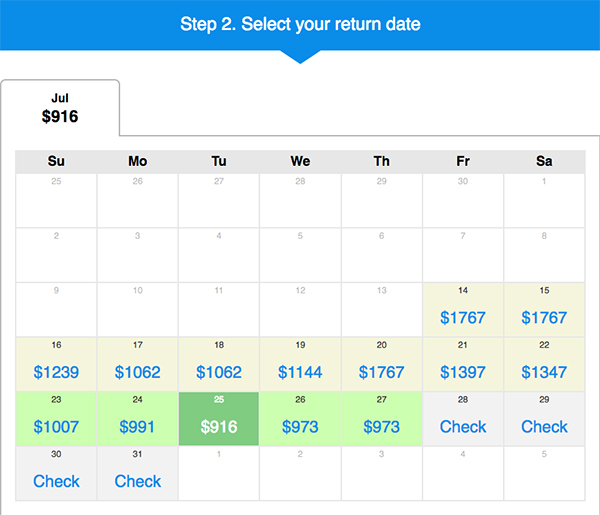 When choosing a return date, the Fare Calendar again allows users to easily choose a date that saves money.